I Love English, 오늘 이 시간에는 ‘Amusement Park’, ‘놀이 동산’과 관련된 다양한 영어 표현 알아보겠습니다. A: Come on come on! Let’s ride the rollercoaster over there. B: Oh, please. I don’t like scary rides. A: Stop being such a scaredy-cat! What’s holding you back? B: I’m afraid of it going upside down. Plus, look how high it’s going up! A: Stop driving me up the wall. It will be just fine. B: Well, I don’t care what you think. I’ll meet you back here in 15 minutes! A: What?! Where are you off to? Hey, hey! 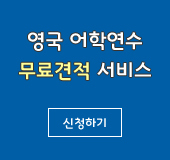 A: 자, 어서! 저기 저 롤러 코스터 타러 가자! B: 싫어. 나 무서운 건 딱 질색이란 말야. A: 겁쟁이 처럼 굴지마. 뭐 때문에 그러는데? B: 롤러 코스터 막 거꾸로 돌잖아. 그리고 저렇게 높이 올라가는 것 좀 봐! A: 짜증나게 좀 하지마. 다 괜찮을 거야. B: 네가 어떻게 생각하든지 상관 없어! 여기서 15분 후에 만나! A: 뭐? 어디가는데? 야, 야! · A: Do you like going to amusement parks? B: Yes. I’m a big fan of amusement parks. · Let’s ride the rollercoaster over there. - 'Ride', '자동차나, 버스, 기차 등을 타다', 는 뜻이 있는데요, 놀이기구 등을 타다 할 때도 이 ride 동사 쓰실 수 있습니다. 'Ride the rollercoaster', 하면 '롤러 코스터를 타다', 는 뜻이죠. 또 'go on the ride', 해도 ‘놀이 기구를 타다’는 뜻이 있습니다. 그래서 ‘저기 저 롤러 코스터 타자!’영어로, Let’s ride the rollercoaster over there, 해도 되고요, ‘Let’s go on the rollercoaster over there.’ 해도 됩니다. ex) 우리 저기 저 바이킹 타자! Let’s ride the pirate ship over there! - 'Ride' 동사는 또 ‘말을 타다’, ‘보트를 타다’ 할 때도 쓸 수 있는데요, 예를 들어 ‘이번 주말에 말타러 갈래? ’ 영어로는 ‘Let’s go riding a horse this weekend’, ‘Let’s ride a horse this weekend’할 수 있죠! 또 ‘이번 주말에 포토맥 강에 보트 타러 갈래?’, ‘Why don’t we go to the Potomac river to ride a boat this weekend?’ 라고 표현할 수 있습니다. ex) A: Do you like going on scary rides? 무서운 놀이기구 타는 것 좋아하나요? B: Of course. I’m a huge fan of scary rides like the rollercoaster. 네. 전 롤러 코스터 정말 좋아해요. A: Do you like sitting up front or in the middle or in the back when you ride the rollercoaster. 롤러 코스터 탈 때 주로 맨 앞에 타는 거 좋아하나요 아님, 중간이나 뒤에 앉는 거 좋아하나요? B: I prefer sitting up front. I can see the whole view! 전 맨 앞에 타는 걸 좋아해요. 놀이 동산 전체 광경을 볼 수 있으니까요. · Stop being such a scaredy-cat! What’s holding you back? - Scaredy-cat은 ‘겁쟁이’ 라는 뜻입니다. 미국에서는 이렇게 ‘something cat’ 이라는 말 많이 쓰는 데요, 예를 들어, 다른 사람이 하는 것을 모방하거나 자꾸 따라 하는 사람을 보고 ‘copy cat’ 이라고 합니다. ‘Copy cat is someone who always copies other people.’ 그래서 ‘제발 따라 하지 좀 마!’ 영어로 하면, ‘Stop being such a copy cat’ 또는 ‘Don’t be a such copy cat!’ 할 수 있습니다. 겁쟁이 같이 굴지마 ‘Stop being such a scaredy-cat’ 말고 또 다양한 영어 표현이 있는데요, 흔히 미국에서는 겁먹어서 어떠한 것을 잘 못하는 사람을 ‘chicken’, ‘닭’에 비유하죠? 그래서 ‘Don’t be such a chicken’ 또는 ‘Don’t chicken out’ 하면 ‘겁내지마’ 라는 뜻입니다. 그래서 Stop being such a scaredy-cat, 대신에 Stop being such a chicken, 해도 같은 뜻입니다. 또 겁을 먹거나 긴장하면 손, 발이 차가워 지잖아요, 영어에도 ‘get cold feet’ 이라는 표현이 있습니다. 말 그대로 해석하면 ‘발이 차가워 지다’ 라는 뜻인데요 ‘겁을 먹다’, ‘긴장하다’는 뜻입니다. 그래서 나 무서운 놀이기구 보기만 해도 무서워! 영어로 하면, ‘ I get cold feet at the sight of scary thrill rides.’ 할 수 있죠. 계속해서 such a one, 은 어떠한 사람, 그러한 사람 이라는 뜻인데요, 예를 들어 ‘패배자처럼 굴지마!’ 영어로 하면, ‘Don’t be such a loser!’라고 할 수 있죠! 또 ‘아기처럼 굴지마!’ 영어로는 ‘Don’t be such a baby!’ 할 수 있습니다. -너를 뒤로 잡아 끄는 게 뭔데? 즉 뭐 때문에 망설이는 거니? 라는 뜻입니다. What’s keeping you back? 또는 What’s keeping you from riding that ride? 해도 같은 뜻입니다. · I’m afraid of it going upside down. - ‘Be afraid of something’ 은 ‘~(무엇 무엇을) 무서워 하다, 두려워 하다’는 뜻이 있습니다. ‘Be scared of something’과 바꿔 쓸 수도 있죠! 또 ‘Upside down’은 ‘Upside’ 위쪽이 ‘down’ 아래쪽으로 가있는 거니까 ‘거꾸로, 뒤집혀’ 라는 뜻입니다. 그래서 ‘I’m afraid of it going upside down’ 은 ‘롤러코스터가 거꾸로 도는게 무섭다’는 뜻이죠! 난 롤러 코스터 속도가 너무 빨라서 무서워. I’m afraid of its speed. 난 롤러 코스터 너무 가팔라서 무서워. I’m afraid of the steepness of the roller coaster. 난 롤러코스터가 너무 높이 올라가서 무서워. I’m afraid of its height. · Stop driving me up the wall. - ‘Drive someone up the wall’ means ‘to make someone very angry or very irritated’, 즉 ‘누군가를 화나게하다, 짜증나게 하다.’ 는 뜻입니다. ‘drive someone crazy’와 바꿔 쓸 수도 있습니다. · Where are you off to? - ‘어디 가는데?’ 라는 말인데요, ‘Where are you going? / Where are you headed?’ 와 같은 의미죠!